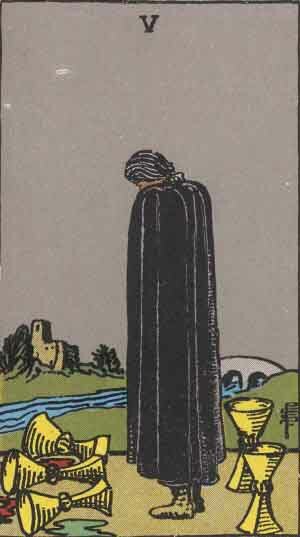 The Five of Cups: Too Much or Not Enough? 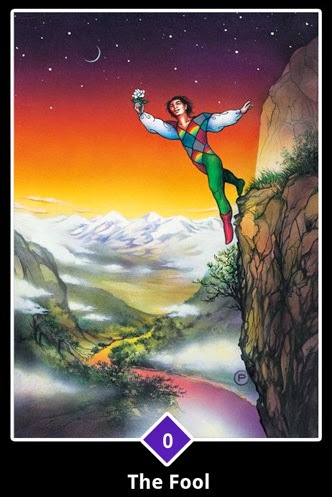 Often this card is seen as a card that shows stagnation created by focusing too hard on what you’ve lost, while ignoring what you still possess. This is a 100% valid way to interpret this card, but there is another side to that coin which is worth considering. Sometimes we need to focus on the loss or the disappointment. Ignoring pain can be just as detrimental as wallowing in it. Sometimes we need to intentionally interact with our pain, to mindfully mourn, that way we can process and then move on. 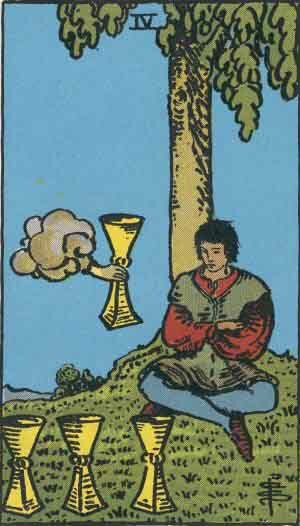 If you’re in a space where you are trying to focus only on the good and not willing to acknowledge what is hurting you, the Five of Cups may be asking you to intentionally set aside some time to ball your eyes out, or punch a pillow, or throw yourself a pity party, or bust out an extra hard workout at the gym (just don’t injure yourself, ok? ), or whatever you need to do. The key to the Five of Cups, whichever way it appears for you, is that once you’re done creating the space to express your hurt and honor your grief, you DO still need to pick up those other two cups and move on…move forward. I wrote this short piece right as I was about to make a very large, very significant, very scary personal decision. In the end I did choose to leap, and while I’m still navigating the aftermath of that decision, I know it was the right one. The Sun is a card that is usually viewed as a very positive card. It is often associated with joy and can represent a strong “YES” in a Yes/No spread. 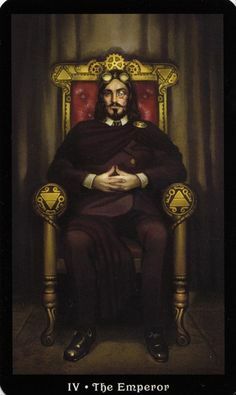 But every card has its positive and negative attributes and even a card with as many positive associations as The Sun can indicate something problematic under certain circumstances. I offer for your consideration these two versions of The Sun card. The first card is from The Steampunk Tarot by Barbara Moore and Aly Fell. This image embodies the happy, carefree side of The Sun. The two figures are dancing, swept away in the joy of the moment. There are sunflowers in the background, evidence of The Sun’s role as a catalyst for life and growth. This later example represents the aspects of The Sun that are more challenging. The Sun as the great illuminator shines light into the shadows and may reveal things that are painful. It may represent bringing things to light that you would rather stay obscured. It can indicate when someone is being overpowering or overwhelming. It can symbolize when passion is burning out of control or has become too all-consuming. Sometimes these challenging aspects of The Sun, while difficult, are still ultimately positive. When something secret is brought to light, for example an affair being revealed or finally “coming out”, the result is most likely going to be positive in the end, though it may be painful as it is happening. Other times the challenge is something negative that needs to be addressed or it will ultimately become destructive, such as when you are at risk of expending too much energy, or allowing yourself to be consumed by passion and at risk of burning yourself out, or at worst losing your sense of self. As with all cards, the meaning of The Sun will depend on the context of the question, the spread position it lands in (if specific positions are being used) and the reader’s intuition, but I think its good not to just assume when it shows up that things are going to be purely positive, its worth considering the dark side of The Sun as well. 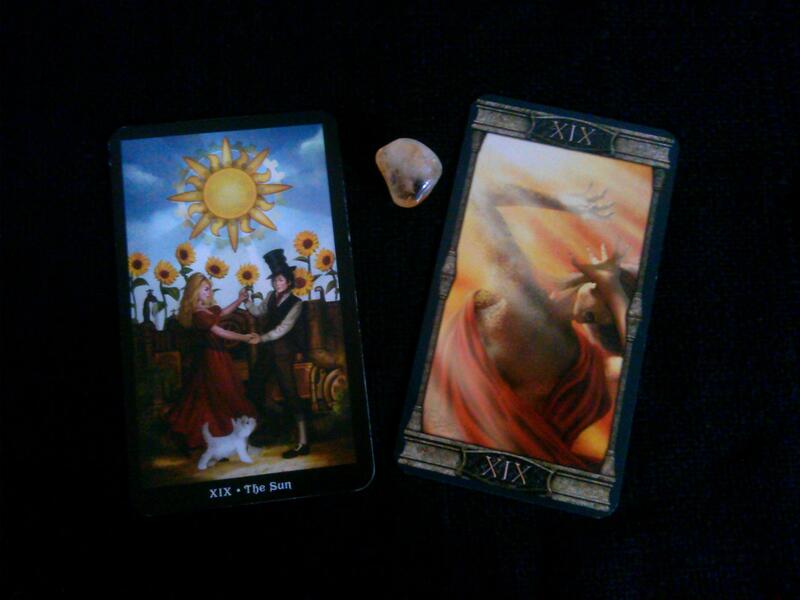 Its hard getting called out, but sometimes that’s exactly what we need, and tarot has an uncanny ability to call us on our BS. When the tarot tells us we’re being self defeating or we’re responsible for the situations we find ourselves in, its not passing judgement on us or saying we’re bad people, its asking us to be brave by being honest with ourselves. Its asking us to shoulder the responsibility for our experience and stop letting everything and everyone else dictate that experience. Structure and discipline, love it or hate it we are all subject to it to some degree. The Emperor asks us to look at these concepts and to consider their positive attributes. How can discipline and structure help guide and motivate us? As someone who spent many years in a state of perpetual rebellion, its sometimes hard for me to embrace the good in something that feels as limiting as structure, or as restrictive as discipline. But the fact of the matter is that structure and discipline play an important role in being a productive, healthy, happy being. Without it nothing gets done. We fall off the wagon. The ball gets dropped. We aren’t able to push our limitations or create new patterns or paths in our lives. We can’t grow. The trick is, like with most things, we must employ the energy of the Emperor in a balanced and mindful way. Another thing to consider with the Emperor is that the he is, well, the Emperor. 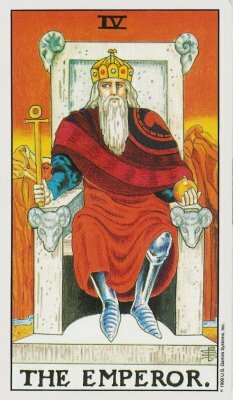 He is in charge, he is the one making the rules, so when you step into his energy you are claiming authority to make your own rules, set your own goals, create your own structure. Working with this archetype doesn’t have to mean submitting to the parameters that others have put in place. In that way tapping into The Emperor within you can be an act of empowerment. You are saying “I am creating structure and discipline in my life in alignment with what I want to accomplish, in alignment with my values, to better position myself to accomplish my goals.” Since the structure and discipline you create is coming from within you it doesn’t oppress you, it is an aid to you, it is a resource. 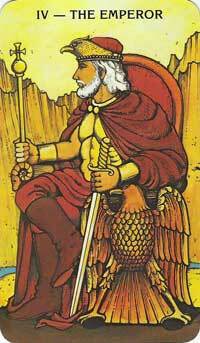 Standing on the threshold of 2015, tapping into the positive power of The Emperor is going to be more important than ever. His energy will play a significant part in keeping the momentum going for our resolutions and goals in the new year. I think this is why he is resonating so strongly with me right now. The excitement and power surrounding the shift into the New Year can help us plan and motivate us to get started, but won’t necessarily be able to carry us through to completion, much like the Aces represent the spark, the potential, but not the finished product. We need to build systems to keep us motivated and accountable as we move away from the catalyst that is New Year energy. So how can you add some structure and discipline to your life in a way that is healthy and productive, not restrictive and oppressive? What areas in your life need more structure and mindfulness? Bring that Emperor energy in by starting a routine, or making a plan, or creating a system that will help keep you on track. Set up some personal boundaries both internal (your interactions with yourself) and external (your interactions with others). Commit to something that you know you need to do or implement and then follow through with meaningful action. That is Emperor energy at its best.